Grand Rapids is a huge area that is sectioned off according to Northeast, Southeast, Downtown and so on. One of the best areas of Grand Rapids to live in is the Southwest. Southwest Grand Rapids MI real estate is some of the most coveted real estate in the region not on because Southwest Grand Rapids MI homes are beautifully crafted, but also because of their advantageous location. An investment in Southwest Grand Rapids real estate is a move that you’re sure to appreciate later on. Southwest Grand Rapids homes have always been valued. Ever since the days of the early Mound Builders, people have always recognized the potential that the area had. Anywhere where this are large masses of water are great places for fishing, hunting, planting and other sources of agriculture, and this is certainly true of Southwest Grand Rapids homes for sale. The area was occupied by Native American people after the Mound Builders, and the Native Americans ended up handing it over to the European settlers via the Treaty of Chicago. Beautiful parks and modern recreation centers abound near Southwest Grand Rapids properties. The Southwest Grand Rapids home buyer who enjoys outdoor activities like skiing, hiking, dune climbing, cycling, fishing and more will be pleased at the many places that the area has designated for just those sorts of activities. There are nearly 50 parks in all of Grand Rapids, and residents of Southwest Grand Rapids have easy access to parks such as Bike Park, Campau Park, Caulfield Park and many more..
Real estate in Southwest Grand Rapids allows you to live in an area where you should never experience boredom. There are many attractions nearby. From family fun centers like amusement parks and waterparks to entertainment centers like theaters and performing arts centers, there is no lack of entertainment in the area. 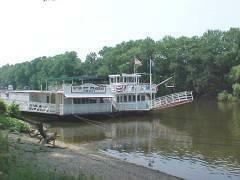 One of the most popular attractions in Southwest Grand Rapids is The Grand Lady Riverboat. Families are also sure to enjoy the nearby John Ball Zoo. 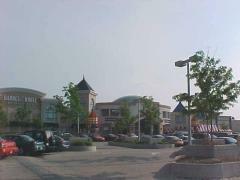 There is no lack of events hosted near homes for sale in Southwest Grand Rapids either. Homebuyers who like to get involved with their communities will certainly be able to do that in this area where there is always something going on. There is everything from art exhibitions to family fun nights. Find the home of your dreams in Grand Rapids with the help of Bev Boerman. By consulting Bev Boerman, you can get insider knowledge of the Grand Rapids market.